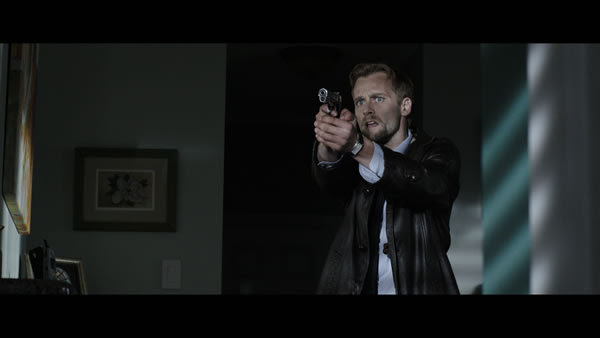 Joe Anderson, talks to the Head Honey about his experiences filming Devil’s Carnival director Darryl Lynn Bousman’s contemporary noir Abattior, and pauses to reflect on his time under the scrutiny of Hannibal while on the set of a new project in Atlanta, GA. Horror Honeys: It seems like a cliche question, but how did Abattoir happen for you and what was it about the film that drew you in? Joe Anderson: Oh my god... well. My agent sent me the script to read, Darren Bousman had seen some of the work I'd done before and wanted me for this detective, and I honestly got about halfway through it before I called back and said a really emphatic YES. I had never seen an idea like this, it was twisted and dark and unique, and had a sort of 40s noir feel to it that I hadn't seen in contemporary film. The dialogue between my and *lead* was this kind of bat and ball scenarios that I hadn't seen since theatre school and it was very different. I think the last time I'd seen something with such a vintage "light between the blinds" feel in a contemporary setting was in Bladerunner, and I leapt at the chance to be a part of something like that. About a week later we were shooting, and I'd never been involved in a process that was that quick before, so it was wonderful to go from reading a script to shooting in such a short span of time. Are you a believer in the supernatural or a skeptic? The short answer is yes... but as far as spooks and ghouls are concerned, I don't believe in those, but I do think that there is far more out there than we can really comprehend, and as we evolve as a species, I think we'll discover more about the world around us and what happens after death. 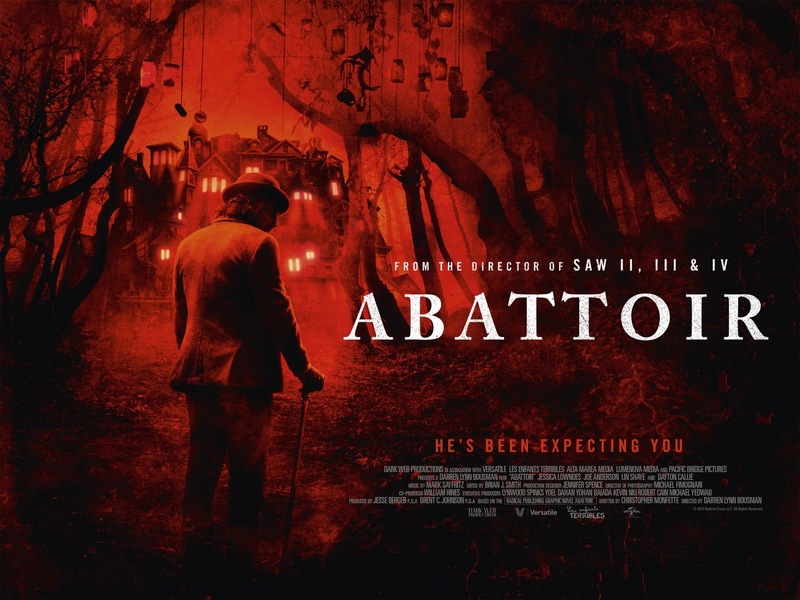 Are there any anecdotes or special moments from your experience on Abattoir that you'd like to share? Yes! Darren Bousman has a dog named Chance... ChanceDog, and he's this big sort of poodle, and he was everywhere on set, and really helped to lighten the mood when things were getting a little heavy, which was wonderful. I remember one instance, I was running out of the forest to ask Darren something, and I ran into the director's tent to talk to him and there's a Chance, sitting in the director's chair staring at the monitor... Darren had left the tent to go into the woods to find me. It was the most hilarious thing. In the very best way, Hannibal's Mason is a different approach to the character in the films. 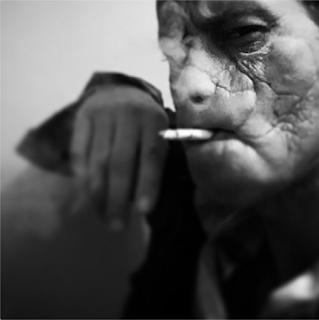 How much inspiration did you take from Gary Oldman's portrayal and how did you try to separate from it and make it your own? Filming Hannibal was an amazing experience, and when Brian Singer called me to do it I nearly leapt out of my skin to take the opportunity. It was challenging to balance what Michael Pitt did with his performance, he's very physical and flamboyant with the character, while Gary Oldman, who was an older man when he played the role was immobile, so he was very focused on the delivery of the lines, so it was a little bit of inspiration from both of those portrayals, as well as staying faithful to how Mason appears in the books. A lot of the script was taken directly from the source material, so I was very concerned with presenting something that was faithful to that, while blending the other two portrayals to make him horrifying and nasty and charming all at the same time... I hope that came through. I was filming Abattoir kind of in the same space of time, so I didn't really know who I was for a little while.